My introduction to the world of the Chimney Swift began in the chimney of my grandparents’ house in Cleveland, Ohio, back in 1959. My grandfather worked for the local utility company and was a stickler about how the home’s heating system performed. He forbade my grandmother from using the living-room fireplace because he had calculated how much heat would be “sucked up the chimney.” Unused for years, the chimney, which ran through a bedroom wall, eventually hosted a nesting pair of swifts that attracted my attention with their very audible “twittering.” My second-floor room had a porch that provided easy access to the roof and the chimney. My teenage passion for birds was far greater than my respect for my grandmother’s admonition to “stay off the roof or you’ll fall and break your neck.” I spent a lot of time peering down into the darkness and monitoring progress at the swifts’ nest, which eventually produced two fledglings. My interest in swifts having been piqued, I began checking out other chimneys in the neighborhood, and discovered several that had birds coming and going from them. But I was especially fascinated with the several “chimneys” on an old church rectory (subsequently found to be ventilation shafts) that were populated by hundreds of swifts that created a veritable avian tornado each night. I assumed that it must be a huge colony of nesting swifts. 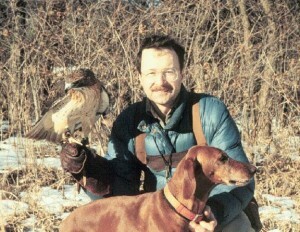 At the time I was working part-time at the Cleveland Museum of Natural History where I regularly attended meetings of the local Kirtland Bird Club, named after Jared Potter Kirtland, the local naturalist who in 1851 discovered the Kirtland’s Warbler near the future site of my grandparent’s home. I mentioned my observations of swifts at a meeting when Professor Ralph W. Dexter from Kent State University happened to be in attendance. I had encountered him in passing when he occasionally visited the museum’s mollusk collection, but at the time I wasn’t aware that he was THE reigning expert on Chimney Swifts. He gently corrected my erroneous interpretation that the swifts at the church comprised a nesting colony and explained that they were simply roosting and that there were probably no more than a few pairs nesting in the chimneys. Nonetheless, impressed by my interest in swifts, he invited me to visit him and observe how he studied swifts at Kent State. I took advantage of his generosity and was able to visit him the next summer, helping him with his legendary, long-term banding studies of the swifts nesting and roosting in the ventilating shafts of older buildings on campus. 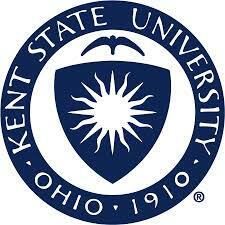 At that time his notoriety for studying the campus swifts lead Kent State to incorporate a silhouette of a Chimney Swift into its official seal. Encouraged by my brief field experience with Dr. Dexter, I was determined to have a closer look at the large concentration of swifts in the chimneys of the neighborhood church. I had convinced myself I was going to prove Dr. Dexter wrong and that my birds really were a large nesting colony. With the help of a sympathetic church janitor, I gained access to the roof and was finally able to examine the chimneys and found . . . just what Dr. Dexter had predicted: no more than a single active nest in any shaft! Most of the non-breeding, roosting birds were actually in shafts not used by nesting pairs. Chastened, I never brought up the subject of swifts again at bird club meetings, but Dr. Dexter did become a supporter of my career in ornithology and wrote a letter on my behalf when I applied for admission to Cornell University where I eventually earned my Ph.D. at the Cornell Lab of Ornithology.